If you want to know how to include custom .js file to your WordPress theme, just keep reading this tutorial. Most of our WordPress themes include my_script.js or custom.js file in the wp-content/themes/your_theme/assets/js folder. If your template has no file like this, you can include a custom JS file yourself. Please, follow these steps to learn how to do it. First, connect to your FTP or open the File Manager in the Hosting Control Panel. 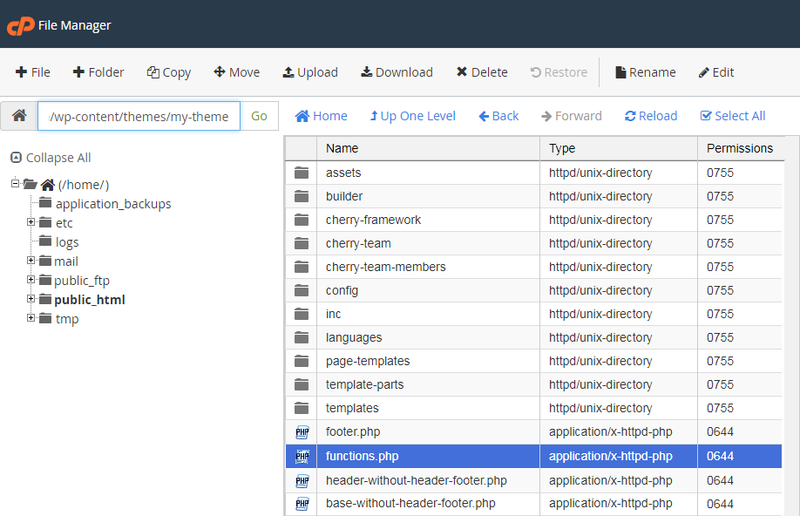 Navigate to the wp-content/themes/your_theme folder and open the functions.php file. If you’re using a child theme, please, navigate to its folder. Then, please, create the custom.js file and upload it to the wp-content/themes/your_theme/assets/js directory on your server. If you’re using a child theme, feel free to put the custom.js file there. Feel free to add the custom JS code to your newly created custom.js file. Don’t forget to save the changes and re-upload the file back to your server after completing the edits. 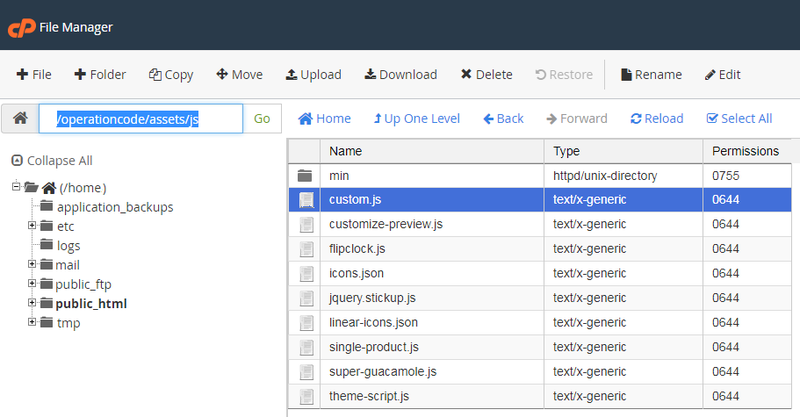 That’s all, now you know how to add the custom.js file to your WordPress theme.